Each month millions of Americans wait impatiently for curated makeup and beauty boxes to be delivered to their doorsteps. Subscriptions to beauty boxes like Birchbox, Ipsy and Sephora Play – which are filled with samples of makeup, perfumes, creams and more – are booming. According to Forbes, Ipsy’s website had 5.2 million visits in April alone. Although perhaps a little late to the party, I wanted in on the fun. I recently subscribed to Birchbox, but after working at EWG for almost 11 years and learning about the pervasiveness of ingredients linked to cancer, endocrine disruption and neurotoxicity in cosmetics, I wanted to know more about what was in the products delivered to me each month. At EWG, I oversee the work we do on personal care products, including our Skin Deep® cosmetics database. Nearly all Americans use personal care products, with the average woman using 12 products a day, exposing herself to about 168 chemical ingredients. Skin Deep is a searchable tool that rates tens of thousands of personal care products based on ingredient toxicity. So how did the products in these boxes rate for ingredient safety? And were some subscription boxes notoriously better or worse than others when it came to toxicity? I recruited one of my colleagues, Iris, to bring in her recently acquired Ipsy Glam Bag to the office so we could put our respective hauls to the test. We entered the product ingredients into Skin Deep for a head-to-head challenge: Birchbox in one corner, Ipsy in the other. The lower the score in Skin Deep, the better. 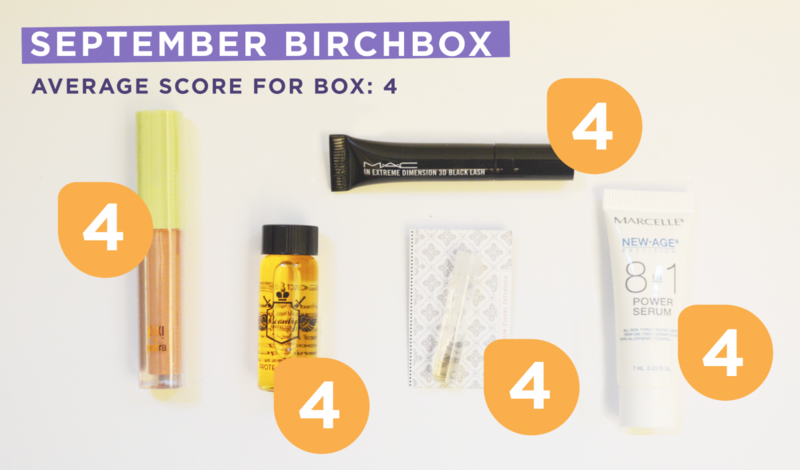 My September Birchbox had five products, all scoring moderately in Skin Deep for toxicity. Nneka’s Insights: This product has “fragrance,” an undisclosed mixture of any number of ingredients. Some fragrance mixtures contain ingredients linked to hormone disruption and allergens, so the ingredient scores poorly in Skin Deep. EWG recommends opting for products that disclose their fragrance mixtures so that you know precisely what you are putting on your skin. Nneka’s Insights: Though it doesn’t have a terrible score, this mascara contains PTFE, a perfluorinated chemical related to Teflon. PTFE and other PFCs have been associated with a wide range of less-than-savory health impacts, like cancer and thyroid disease. Nneka’s Insights: This Marcelle product contains diazolidinyl urea, a preservative that releases formaldehyde into the product to keep microbes at bay. While preservatives are important, try to avoid ones that release formaldehyde, which is a potent allergen. Nneka’s Insights: Another product with fragrance. If you like this product, urge the manufacture to disclose their ingredients so that you can avoid worrisome chemicals. Nneka’s Insights: Again, this product contains fragrance. Did you know that “fragrance” can encompass any number of the fragrance industry’s more than 3,000 ingredients? Phthalates, synthetic musks and many other ingredients of concern have been found in some mixtures. Not bad, Birchbox. But, could Ipsy do better? Iris’ September Ipsy Glam Bag had four products and a makeup brush. Nneka’s Insights: A green-rated product! Well done, Ipsy. Nneka’s Insights: No glaring red flags in this product, but a few ingredients, like the preservative phenoxyethanol, can be worrisome if used above recommended concentrations. Nneka’s Insights: Fragrance, a black box for thousands of chemical ingredients, drags down this product’s score. Nneka’s Insights: That pesky fragrance again – it will affect a product’s score every time it’s listed. 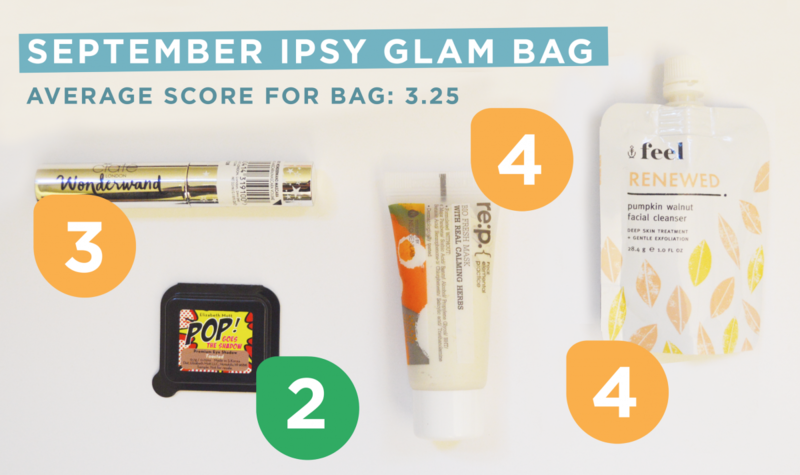 Although it was a close matchup, the winner of this month’s beauty box challenge is Ipsy! But both boxes scored better than I expected, so kudos to Birchbox as well. Check back next month to find out how October’s boxes stack up, but in the meantime let us know which beauty box you get in the mail.